That is utterly beautiful, thanks for putting it out there. I’d love a series of posters of SIlver Age heroes in this style. Adam Strange is my favorite character. This popped up this morning on my wordpress reader and Gordon Purcell happened to post a drawing of Adam on his FB. 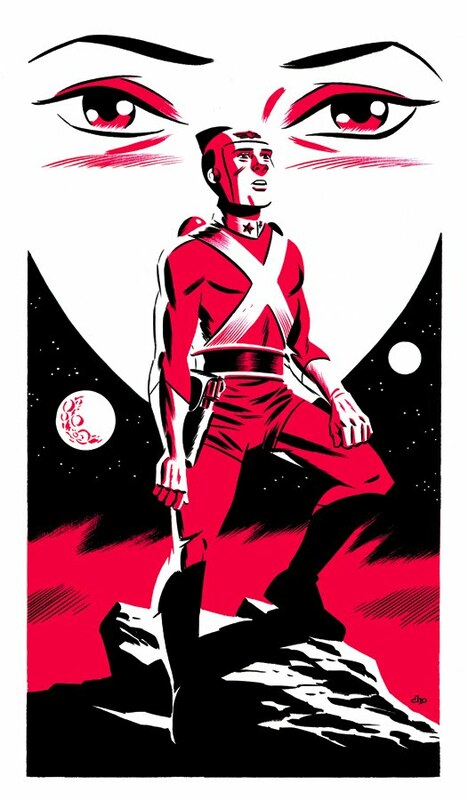 It’s a good day to be an Adam Strange fan! I love this style, that 2-color 50’s style pulp or children’s book illustration. I’d love to see an entire series as well.